What Is Included In Fall Clean-Up For Commercial Landscapes in Ohio? We’re already finding some stray leaves in landscape beds on commercial properties in Northeast Ohio—a sign that fall is upon us, and so is the need for fall clean-up to prepare your landscape for winter and beyond. Many property owners associate fall clean-up with blowing and collecting leaves, and certainly that’s a major part of the job. But there’s much more to it. At Schill, our landscape crews shift into fall clean-up mode now, and we’re addressing various maintenance tasks on properties until snowcover. A thorough fall clean-up includes pruning, protecting plants, and clearing drainage areas of debris. It also means applying pre-emergent herbicides to stop weed seed germination while temperatures are moderate. 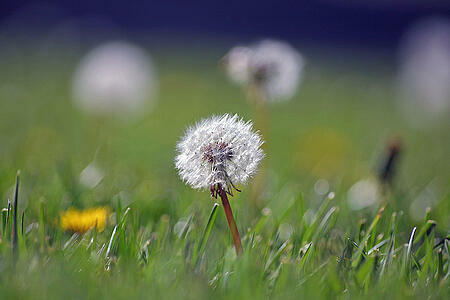 Ultimately, fall clean-up prepares your commercial property for a strong, healthy spring. Be prepared for fall clean-up by understanding what to expect from a landscape professional. We repeat: Fall clean-up is way more than leaf removal. Here are five essential activities of fall clean-up for commercial landscapes in Northeast Ohio that will set your property up for success. Perennial grasses that are taller than 3 feet can create a mess on your property in winter with windy conditions. Plus, these grasses can take a beating with the freeze and thaw. Snow also stresses these grasses, adding extra weight. The grasses go dormant in winter; so consider cutting back perennials so you can maintain a neat look plus keep the grasses healthy. In spring, they’ll grow again and quickly reach the previous year’s height and volume. As for dwarf perennial grasses, these do not need to be cut back in the fall. In fact, doing so can put them at risk for winter damage because the tops will freeze and potentially die back, or you can lose an entire plant. Wait to cut back any perennial grass until after the first frost, generally in the middle to end of October. 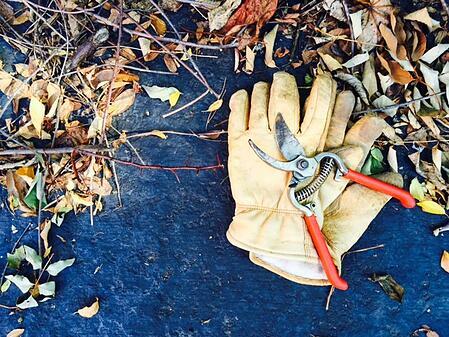 While we’re on the topic of “cutting back,” let’s address fall pruning dos and don’ts. Do perform light pruning of woody ornamentals to remove dead or dying branches. Do some spot, hand pruning if necessary. Don’t prune evergreens (unless you are removing dead branches) because their growth protects trees during cold winters. Do leave more branching on trees than you might think—because our recent history of extreme cold temperatures in winter takes a toll on trees. You’re better off with a wait-and-see approach to pruning, performing rejuvenation and dormant pruning in early spring before new growth and after the severest of winter weather is over. Aesthetically, leaf removal gives a property a polished appearance and your landscape contractor should be doing spot clean-up of leaves on a regular basis to avoid a major pileup. At Schill, we typically clean up leaves on a 10 to 14 day rotation. And, we like our clients to know that leaves are actually a great source of phosphorus, and it’s important to introduce this into the soil when possible. We strike a balance between providing a neat appearance on lawns, and leaving organic matter that will benefit soil health. As for timing, the first leaves are already dropping and the major “leaf rush” will depend on temperatures this fall and when the first frost occurs. Some trees like oaks will hold leaves all winter and drop the remainder of their leaves in the spring. You can count on oaks shedding about 70 percent of leaves in the fall. Pear and magnolia trees also hold onto leaves the longest, so leaf clean-up activity can persist into December. 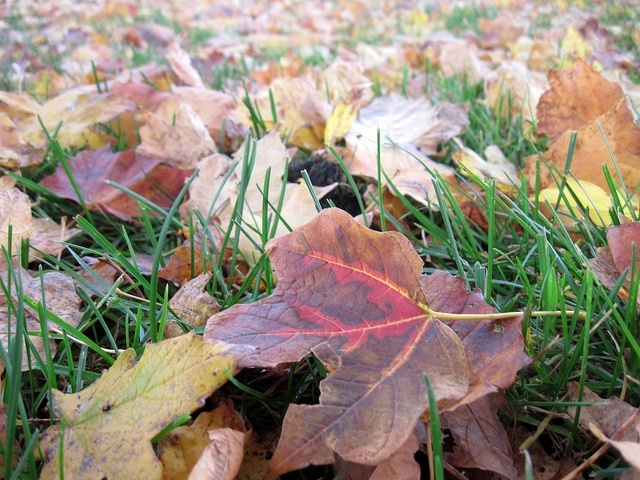 Then, a final leaf clean-up should include mowing over the property to catch the last leaves and debris. You do not want leaves sitting on your lawn during winter because they suffocate the turf, and come spring you’ll have dead spots in those areas. Beyond removing leaves from the lawn and landscape beds, your landscape contractor should ensure that all drains on your commercial property are free of debris. 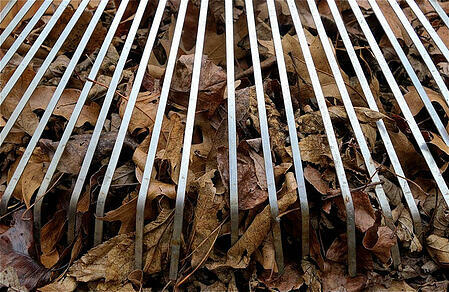 Leaves and other green waste (sticks, brush) get caught up in drainage grates and inlet/outlet pipes. If they are left there, the snow melt and moisture in winter can cause blockages and even flooding. 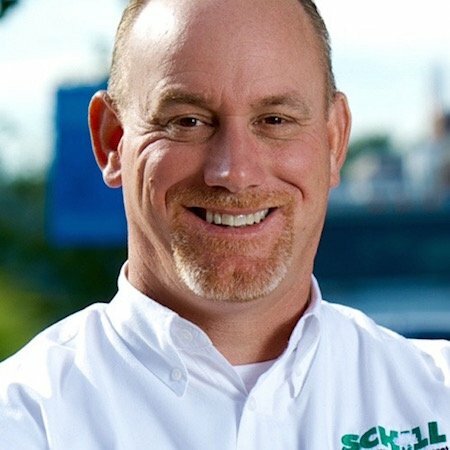 At Schill, we constantly monitor commercial properties’ drains to make sure they’re free and clear. Fall is a good time to apply granular preemergent fertilizers to prevent weed seed germination in late fall that can result in weeds come spring. Then, another application of preemergent product in spring will give your lawn the best preventive protection against weeds. Also, with the bitter, record cold temperatures we have experienced in Northeast Ohio the past two winters, it’s a good idea to protect vulnerable plants, such as boxwoods or and evergreen plant material that might be susceptible to winter burn. 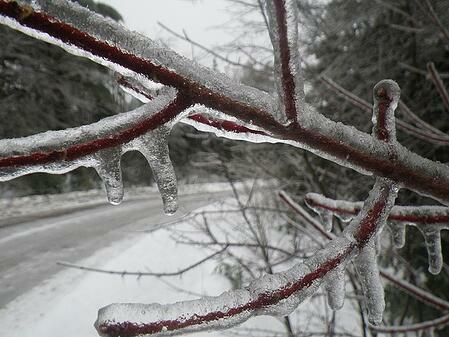 We can spray on oils and anti desiccants that help plants retain moisture and stand up against extreme cold. Also, some bushes can be burlapped. And, sometimes it’s beneficial to use natural string or rope to tie up larger upright junipers and arborvitae so they do not split during heavy snows. Any extra step to protect plants from the winter elements is a good thing. We advise watering newer shrubs and trees once a week during winter when there is no snow cover to ensure adequate moisture. Because their young root systems are still developing, they will benefit from a slow-release nutrient application in fall, as well. A thorough fall clean-up protects your landscape investment during winter’s harsh conditions and sets you up for a strong spring. That way, once the weather warms up again, your property will be in top condition and require only light clean-up and bed preparation for mulching. Fall clean-up will help protect plants, mitigate winter damage (including potential flooding) and reduce weed pressure in spring. And, now is an ideal time to aerate your commercial property. Let’s talk more about ways we can prepare your property for winter, including managing snow and ice so your grounds are safe. In addition to our more than 20 years of commercial landscaping experience, Schill Grounds Management is proud to be a Certified Snow Professional and ASCA-certified Top 5 snow contractor in the country. Contact us at 440.327.3030, or fill out this simple contact form and we’ll get in touch with you.